Osteoporosis is typically thought of as a disease that impacts the elderly, particularly elderly women who have become slightly hunched over the years. 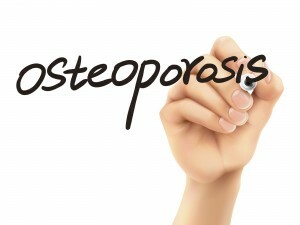 But an estimated 20 million American women suffer from osteoporosis, and 80% of them don’t even know it. Osteoporosis is a chronic, progressive condition that steals bone from the body, leading to fractures of the hip, spine and wrist. Rather than waiting for swollen joints and discomfort before getting yourself tested, the American Chiropractic Association has a number of tips on how to maintain healthy bones now. Start a regular exercise program that includes some cardiovascular exercises (such as walking, climbing, playing racket sports) and weight bearing or resistance exercises. Exercise puts stress on your bones which help them get stronger. Spend time outdoors so you increase your level of vitamin D, which is important for your absorption of calcium to prevent osteoporosis. Avoid falls and be careful when bending and lifting heavy objects. Consider removing obstacles such as cords and rugs from your home, and be very mindful of your posture when lifting (including children). These tips can help you avoid fractures. Avoid or at least decrease consumption of foods high in phosphorous, such as soda, chips, bacon, beer, crackers, white rice, bologna, and peanuts. Phosphorous can decrease your calcium absorption and weaken the bones. Get enough calcium from dairy, broccoli, dark leafy greens, etc. Calcium is very important for building and protecting your bones. 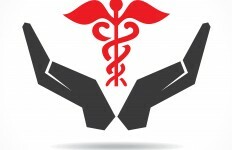 To read more, check out the ACA’s article Osteoporosis – Not Just an Elderly Disease. Absolute Wellness Center offers chiropractic medicine, sports medicine, physical rehabilitation, acupuncture, and massage. To learn more about how chiropractic care or our other services might benefit you in your recovery and health, give us a call at 541-484-5777.